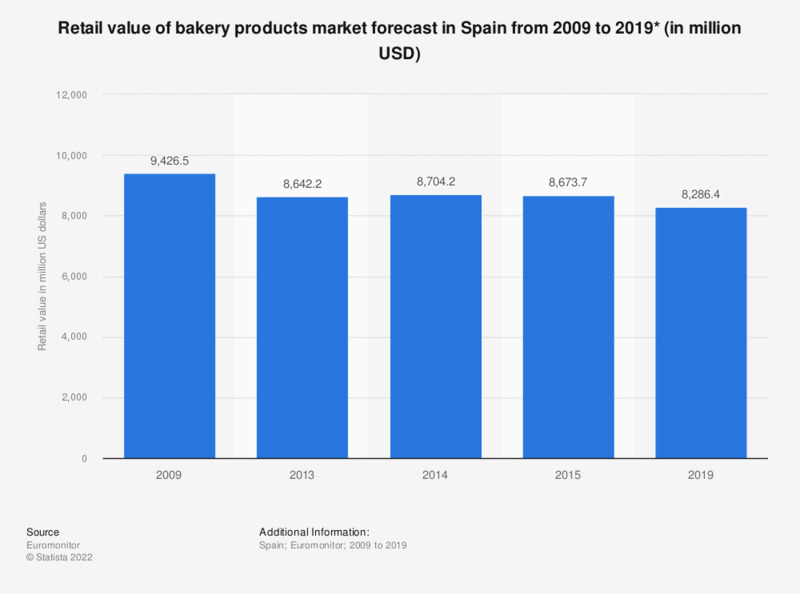 This statistic shows the retail value of the bakery products market in Spain from 2009 forecast to 2019. The value of the bakery products market is expected to decrease by approximately 1.1 billion US dollars in the ten year period under consideration, from a peak value of 9.4 million US dollars in 2009 to 8.3 million US dollars by 2019. For an overview of bakery forecasts for major countries in the European Union, please see the following. * 2015 and 2019 values are forecasts.